You&apos;ve come to the right place if you&apos;re looking for a vacation full of shopping. 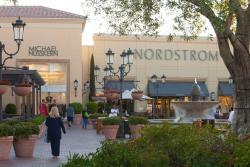 Irvine and Orange County are home to some of the most luxurious shopping centers in the country with just about every store to shop that you can desire. The hip and trendy dining, shopping and entertainment experience, where one can peruse over 130 nationally-recognized retailers, laugh at the Improv Comedy Club, ride the antique-themed carousel and the iconic 108-foot tall Giant Wheel, a wheel custom-designed and hand-crafted in Italy. A trip to the Center wouldn&apos;t be complete without a visit to their unique shops including; award-winning Australian retailer Lorna Jane, which offers stylish and innovative active wear designed by women, for women; Brandy Melville featuring affordable, bohemian apparel highlighted by oversized, beachy and comfortable styles; and Kaitlyn Clothing offering a current collection of trendy designer brands including Fresh Laundry, True Religion, Juicy, Seven and more. Dining: Irvine Spectrum Center features a number of top-tier restaurants and is consistently ranked as one of the top dining destinations in Orange County. 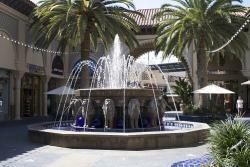 The California lifestyle is on display at this open-air mall with an ocean view and more than 150 high-end shops, including specialty boutiques and world-class department stores, over 60 of which are found nowhere else in Orange County including Kate Spade, Jonathan Adler, Bloomingdale&apos;s Home Store and Michael Stars. High-end designers Halston Heritage, favored by celebrity style icons such as Sarah Jessica Parker and Kendra Scott, the queen of contemporary statement jewelry, both recently opened their first Orange County boutiques at the center. To round out the eclectic mix you have The Market Place, boasting a wide array of shopping and dining options, and The District at Tustin Legacy, the OC&apos;&apos;s newest shopping and entertainment destination featuring live music and weekend entertainment and the new Union Market Tustin, an artisanal marketplace of independent gourmet food, fashion, and lifestyle businesses, all under one roof. Tip: The District is pet-friendly. 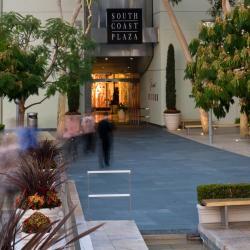 Recognized internationally for its unparalleled retail collection, customized concierge services, and critically-acclaimed restaurants, South Coast Plaza is Southern California&apos;s premier shopping experience. It is the largest mall on the West Coast with 250 retailers - from Balenciaga, Cartier and Hermès to Diane von Furstenberg, Gucci, Roger Vivier, J. Crew, Zara and more. Tip: South Coast Plaza&apos;s Concierge provides an array of services to make your shopping and dining experience extra special.